Join us in the ring for the first time this year. Why is it tough? Brave Startup participants will pitch-fight in a real boxing ring. We match two worthy but equal opponents who will attack and defend their business ideas verbally in three intense rounds. This is the place where all the great startup stories begin. To underscore that special flavor, we also show you some actual boxing fights! 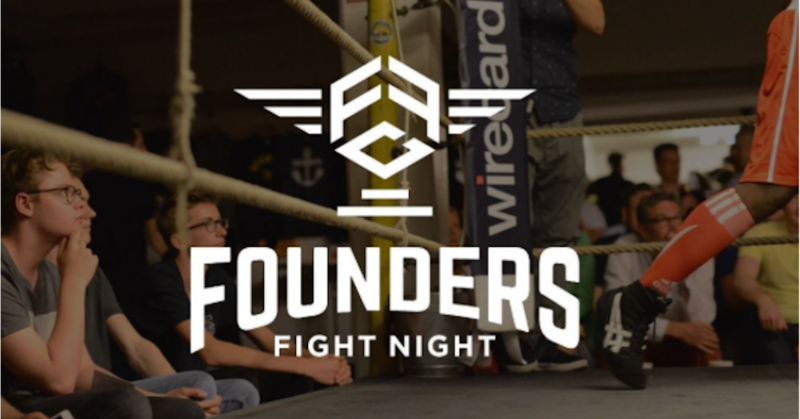 We grow bigger and better every time so don’t miss out on the glorious 7th round of the Founders Fight Night in its hometown, Munich. As always, the event will take place at our favorite boxing gym: The famous BOXWERK! This is a paid event, but since the Founders Fight Club loves all of their friends – yes, we mean you – we’re offering two special ticket discounts until April 25th. So hurry up and get your ticket today! We’re so much looking forward to seeing you there!! Wanna get into the ring? We’re now accepting applications. Everyone can join, from idea to later stage startups. All are welcome to accept the challenge! Pitch your idea and get feedback from our expert jury and the market itself. Network, spread your word and get to know new people from the scene. This is your chance to fight for fame & glory. And remember: Only One Can Win – If you don’t try you can’t succeed!